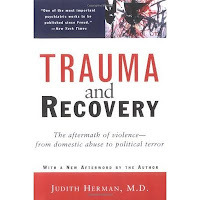 Dr. Judith Hermann authored a book called Trauma and Recovery several years ago. It contains great information regarding the study of posttraumatic stress disorder starting with its roots and ending in 1990's. It includes new definitions of psychological trauma or complex trauma that may be included (hopefully) partially or in-full in the DSM-V. Here is some of the information found in the book. The following are notes that I took in studying it for the second or third time. See below for the reference. The first aspect of recovery is establishing what “recovery” means on each client’s individual level. Some may require a sense of returning to a prior level of functioning, while others may just want to “feel better” or “like themselves” more than they do. At this point, it is important to find out what they client values and how the trauma has affected it and changed their views of the world. This helps in establishing a baseline of functioning and beginning the first step to recovery. Safety is an umbrella term and has multiple inferences. It is more subjective than objective as safety is different amongst clients. Some types of safety, such as safety from physical harm is more universal; however, other types are not. What does the client want from the treatment? Trauma resolution means reintegration of the self. When trauma occurs, the body goes into fight/flight/freeze response. The more often trauma occurs, the more sensitive the body becomes to traumatic arousal. The more often traumatic arousal occurs, the higher the level of adrenaline, cortisol, and other hormones are in the body. PTSD symptoms occur and the individual experiences an almost disintegration of emotions, cognitions, behaviors, and the five senses. Resolution occurs when these four aspects of the human experience are reintegrated (i.e. the client doesn’t have panic attacks/anxiety when exposed to an aspect of the trauma, though there is no memory or rationality for the anxious symptoms). Much of resolution can only happen when a certain level of individual perceived safety is established and maintained. Many times, survivors of trauma have become isolated and the traumatic symptoms and responses have affected their capacity to function in society. Reconnection is getting back into life. Herman, J. (1997). 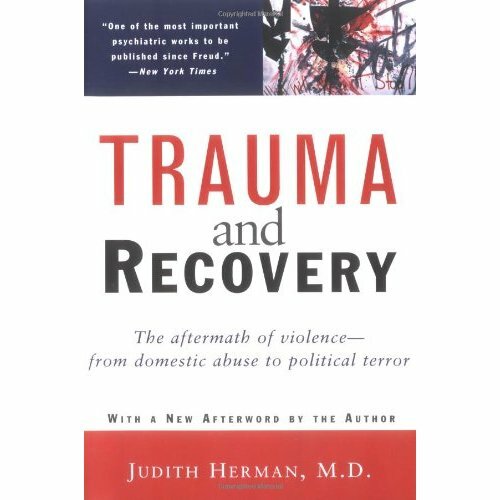 Trauma and recovery: The aftermath of violence--from domestic abuse to political terror. NY: Basic Books.